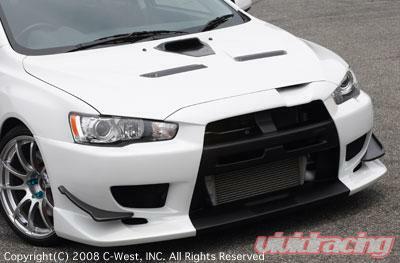 Carbon Front Canards and style to your C-West front bumper. 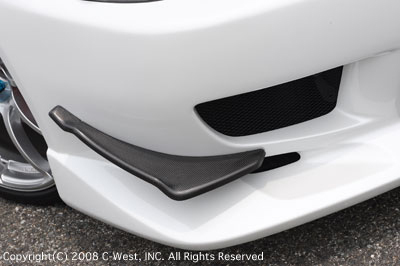 Made from CFRP and sold as a pair. Carbon Fiber Reinforced Plastic(CFRP): Generally FRP is reinforced using only glass fibers. Carbon fiber derives its strength and lightness by replacing these glass fibers with carbon fibers in the resin.